Shimmerz Paints: Lots of Shimmery Goodness! 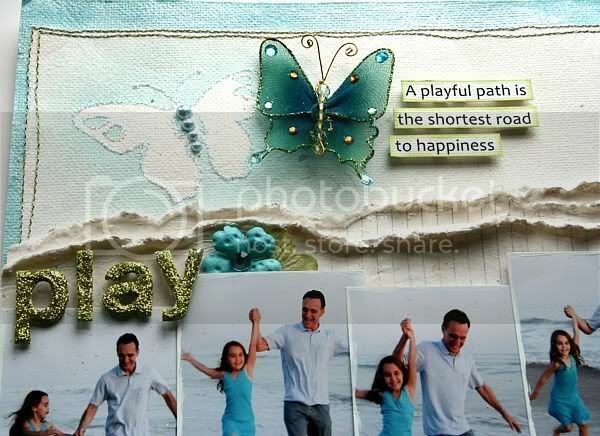 Here's a layout I made using Prima's stitched papers and lots of Shimmerz, Blingz and Spritz. Shimmerz products look so pretty on Prima's thick mulberry papers. I love these pictures of my husband and daughter at play on the beach during one of our annual family photo shoots. I went to town with Shimmerz on this page. I painted the edge of the stitched paper with Tickle-Me-Turquoise Shimmerz. 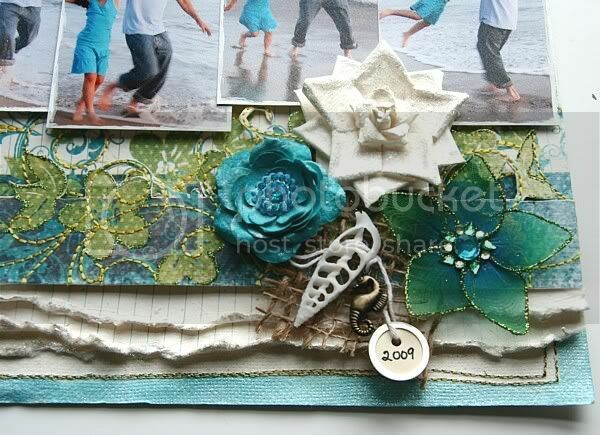 I used Pixie Dust Blingz on the torn paper "waves" and on the white Prima flower. And what beach page would be complete without Sea Foam Spritz?? 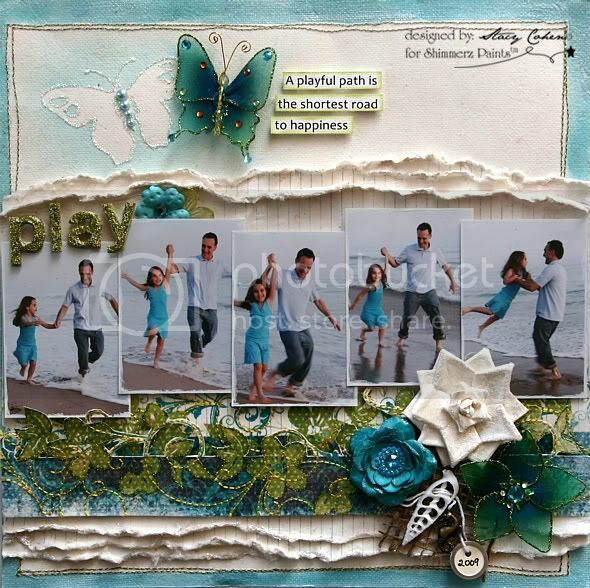 I used the Prima butterfly as a mask and sprayed Sea Foam Spritz over it. Hey Stacy! You are just rockin' everything I see. what a stunning layout. I love how those ripped edges turned out. WOW!! This is STUNNING Stacy! Beautiful just doesn't give this layout justice. It's breathtaking in so many ways.